A list of all Businesses operating in the O'Leary township and area. The O’Leary Used Auto Sales has been in operation for seven years. They sell and repair cars, trucks, vans, etc. MacLean’s Automotive has been in operation for 28 years. They began expansion 20 years ago and built on a new service base and an alignment machine nearly two years ago. MacLean’s Automotive specializes in auto, air conditioning, alignments, diagnostic work and sell products such as oil. Shear Design was established eleven years ago. It services color, cuts, perms and waxing. Shear Design also retail shampoo, mousse and hairspray. The O’Leary Lion’s Club is an organization that specializes in services and benefits for the community for the past 40+ years. The organization mostly help the needy and blind but also provide bursaries for well achieved students in West Prince. Hours of Operation: Regular hours - 7:30 am - 5:00 pm weekdays/ Spring Peak season hours 7:00 am - 9:00 pm daily. Website: www.cavagn.com Cavendish Agri Services was established in the late 1960's. It is a fertilizer blend plant that blends fertilizer for farmers. They also retail many items such as crop protections; bulk lime, scouting crop services, plastic wrap, fertilizer and much more. Sarah’s Hair Studio was first established in 2012. Sarah specializes in colors, cuts, perms and facial waxing. She also sells hairstyling products. Key Murray Law has been in business in O’Leary since 1985 where they were first located at the train station on Main Street. Key Murray Law has extensive experience in litigation, family law, insurance defense, business, real estate, construction, corporate and commercial, personal injury and accident recovery, wills, estates, and trusts and many more. Many of the services Key Murray Law provides are administrative law, agribusiness, banking and financial, human rights, immigration, mediation, etc. The business currently has 15 lawyers and over 20 staff members, 3 members being located in O’Leary. WINTER HOURS: 10:00 am - 6:00 pm Monday - Wednesday; 10:00 am - 9:00 pm Thursday - Saturday; 12 noon - 5:00 pm Sunday. SUMMER HOURS: 9:00 am - 10:30 pm Monday - Saturday; 10:00 am - 5:00 pm Sunday. S.O.S. Computer Solutions opened for business in 2007 and specializes in computer repair and sales, tablet repair and sales, cell phone repair and sales, networking, surveillance cameras, etc. PO Box 130, 18 Community ST.
Town Hall - Recreation Department - Library - Fire Department Public room for rent for private events and free use to non profit groups. Tessa’s Esthetics is a full service esthetics spa. It includes many services such as; manicures, pedicures, waxing, relation massages, facials, brow tinting, make up, etc. The Castle Building Centre began operations in 2013 after taking over theTimber Market previously owned by the O’Leary Co-op. Castle offers many services such as materials delivery, home decorating consultations, all install, 3D deck design, 3D home design, key cutting, paint mixing and color matching, etc. Their business carries many supplies such as paint, lumber, flooring, windows and doors, hardware and power tools. They recently expanded to include a lumber yard. Hours of Operation: 8:00 am - 8:00 pm - Monday - Friday, 8:00 am - 4:00 pm Saturday and Holidays, closed Sunday Health Clinic: 8:00 am - 5:00 pm Monday - Friday, closed Saturday and Sunday Mental Health and Diabetes: 8:00 am - 4:00 pm Monday - Friday, closed Saturday and Sunday Margaret Stewart Ellis Home: 24/7 The Community Hospital services include lab, x-ray, pharmacy, physiotherapy, nutrition counselling, etc. it also provides extended care services; restorative, respite, convalescent and palliative care. The local nursing home, Margaret Stewart Ellis Home, is located inside the building as along with the Health Clinic that services booked primary care appointments, diabetes program and community mental health and addiction services. Visiting Hours: 11:30 am - 1:00 pm, 2:00 pm - 8:00 pm, every day. S A M Custom Cabinets was established in 1995. They manufacture and install cabinets. The O’Leary Farmers Co-op Feed Warehouse services agricultural bulk feed, seed programs and agricultural imports. Hours of Operation: 6:00 am – 10:00 pm Monday – Saturday, 7:00 am – 9:00 pm Sunday. The O’Leary Co-op Gas Bar was first built in 1960, 20 years after the Co-op Food Market was established. The gas bar services fuel, propane, lotteries, tobacco, and convenience needs. Cindy’s Hairstyling was first established in 2010. She services hairstyling such as cuts, colors, perms and waxing. Career Bridges was established in 1993 where it was first located in the Canadian Potato Museum then was transferred to the Future tech West building in 2011. It is an organization that helps adults with future career vocational assessment. There are three programs a year that run for twelve weeks. This consists of three phases: diagnostic/self assessment, job search/employability skills, workplace exposure. O’Leary Guardian Drugs has been in operation for over fifty years. It offers many services including prescriptions, health care, Kodak, ATM and food. The O’Leary Guardian Drugs has a variety of products such as health and beauty products, medications, seasonal giftware and magazines. It also has the West Prince Family Health Clinic located inside the building but does not accept new patients. Hours of Operation: 9:30 - 4:00 Mon - Wed; 9:00 - 4:00 Thurs; 9:00 - 6:00 Fri.
Marlene’s Hairstyling has been in business since 1981. It is currently owned by Susan Bell who specializes in hair services such as coloring, cuts, perms, etc. The Co-op Food Market was established in 1940 to provide a fair opportunity for local farmers to sell their crops and to buy products for their agricultural inputs. The O'Leary Co-op provides services such as grocery, meat, produce, in store bakery, home meal programs and the Medicine Shoppe Pharmacy. The O’Leary Produce Co. Ltd. has been in business since 1964 when they first began growing carrots in Woodstock. This company is a fruit and vegetable market and grow many produce such as carrots, parsnips, turnips, etc. They began merchandising and marketing under their brand name ‘Tushey’ to help play an active role in marketing. 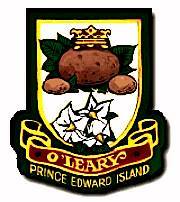 O’Leary Produce is involved with Sobey’s. Bruce Burden services Auditing, Accounting Services, Corporate & Personal Income Tax, Business Advisory Services, Management Consulting; Tax, Estate and Succession Planning. Maple House Centre was established in the 1970's. In 1998 they were operated by Community Inclusions, a non profit organization. Maple House Bakery is a program that offers work for disabled adults. The cafe opened in 2016 and serves breakfast and lunch. Hours of Operation: 8:30 - 4:30 Mon - Wed; 8:30 - 4 Thurs & Fri.
Co-operators have been in business since the early 1970's. They were previously located in O'Leary but have moved to Bloomfield. Co-operators specialize in insurance protection for auto and home, commercial, farm, life, travel and wealth. The business is owned by Dan MacDonald who has two offices - one in Bloomfield and one in Tignish. Hyndman & Co. has been running for 100 years and the O’Leary location has been running for nearly 27 years. The services they provide are insurance for automotive, home, commercial, life, and many more. Beechwood Physiotherapy was established in 1998. It services physiotherapy such as acupuncture. Requires appointment to receive treatments. Skills PEI was established in 2009 to manage the delivery of training and skills development. It is a Division of the Department of Workforce and Advanced Learning. The program is funded by the Canada-Prince Edward Island Labour Market Development Agreement and Canada-PEI Job Fund Agreement. Island Spaw & Kennels Inc.
Tamara Currie has been a certified professional groomer since 2001 and the Pet Parlor was established in November 2015. Tamara has served 900+ guests made up mostly of canines, but also provides services for cats, guinea pigs and rabbits. Island Spaw & Kennels also provides pet boarding. The West Prince Vet clinic has been in service for 31 years in O’Leary and is currently located at 22 Beechwood Ave. The services provided include; grooming, vaccinations and maintenance services for animals such as dogs, cats, and smaller animals. Owned and operated by Leanne Hutchinson, Vinny’s has been in business since 1996. The restaurant seats 35 people, has an option of take out or eat in and all of their food is homemade including their signature pizza dough. Vinny’s won the Pizza Hall of Fame Award two years in a row out of five communities in P.E.I. and was awarded second place nationally. Buchanan’s Seed Grain Cleaning has been in business for 75 years. They clean the seed grains before giving them to the farmers. Home Hardware has been in business for nearly 34 years in O’Leary. In 2011 Home hardware was purchased by Tignish Co-Op when the previous owner, Arthur Lewis, entered retirement. 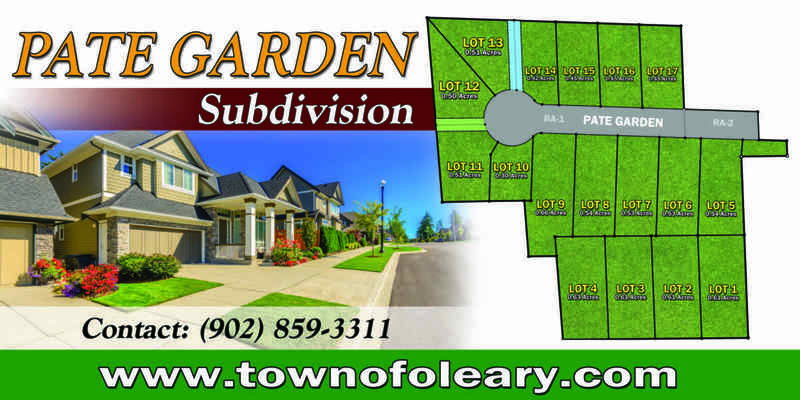 O’Leary Home Hardware now services paint, seasonal garden supplies, small electronics, cell phones, key cutting, screen repair and general hardware. It is home to 6 employees. Home Hardware carries over 100,000 different items and sponsors three major charities including My Giving Moment, Sick Kids Foundation and Tree Canada. O’Leary Auto Parts was established in 1972 and became a very popular location to buy auto parts by local consumers. They retail automotive parts such as brake pads, hydraulics, tires, rims etc. They sell oil, paint, windshield wiper fluid, etc as well. In 2015 they began expansions to increase the size of their business. A nonprofit organization in West Prince that provides support to adults with intellectual disabilities. Services range from residential, employment, supportive and recreational. Community Inclusions owns many organizations for adults with disabilities including the Maple House Centre and Bakery, O’Leary Apartments, Tignish Training Centre and Alberton House. The O'Leary Library was established in 1934 and provides services such as lending books, music and movies, free wi-fi and computers for the general public to use. Special programs throughout the year include Cyber Seniors, Summer Reading, Knitting Club, Healthy Eating, Gardening, etc. The Ferguson’s Funeral Home was first established in 1958. In 1998 it was relocated to Main Street O’Leary. The services it provides are funerals and a chapel. The O’Leary Kwik Way convenience store was first established in 1995. Products include; tobacco, lottery tickets, grocery items, ice, etc. This used clothing store was first established thirty years ago and changed locations 4 times before relocating to their current location, downstairs in the O’Leary Guardian Drugs building. They sell many popular brands of clothing such as Hollister, The Gap, Guess, American Eagle, Aeropostale and many more. This Licensed Community Care Facility opened in 1986. Since opening, the facility expanded twice and now accommodates 36 residents.